Moose, marvelous moose! Who doesn’t love a moose? As I wrote WHEN A TREE GROWS, I assumed that there must, of course, be a day of celebration for the moose. I googled “National Moose Day” and found a few results. Alas, January 15, 2016 seems to be the last time this important holiday was observed! 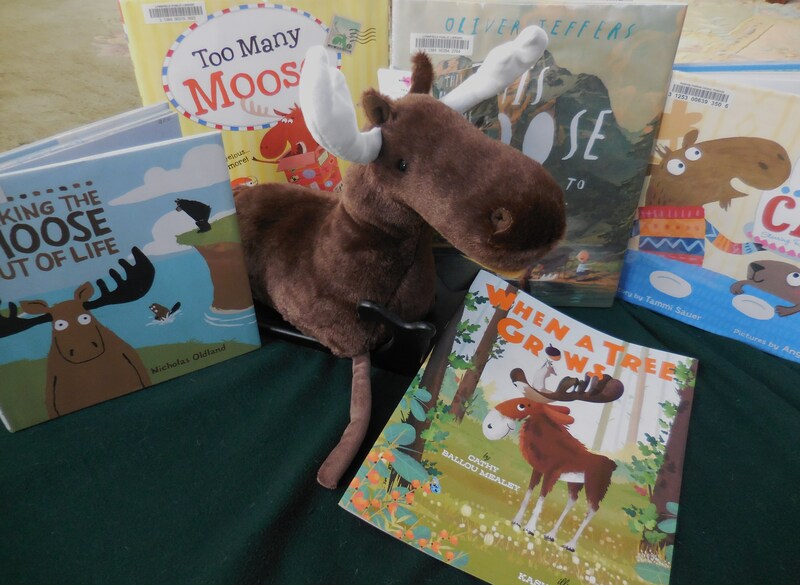 Gather your favorite books starring moose characters and have a read-a-thon! Share your favorite books with the #NationalMooseDay hashtag on social media. Don’t have a moose book on hand? 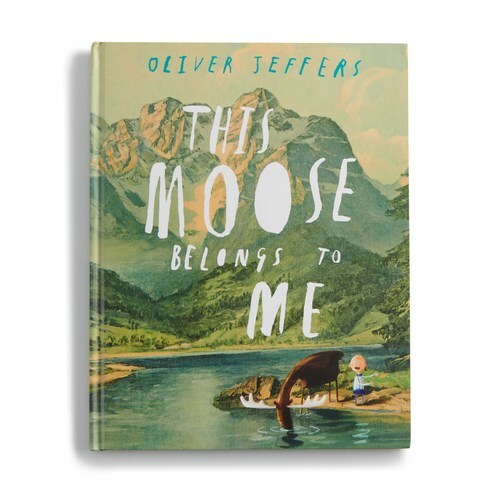 Head to Kohl’s with $5 and get yourself the fabulous Oliver Jeffers’ THIS MOOSE BELONGS TO ME. For another $5, add the amazing, cuddly bean-shaped Moose stuffie shown above! Profits from Kohl’s Care merchandise supports happier and healthier communities nationwide, totalling almost $340 million to date. 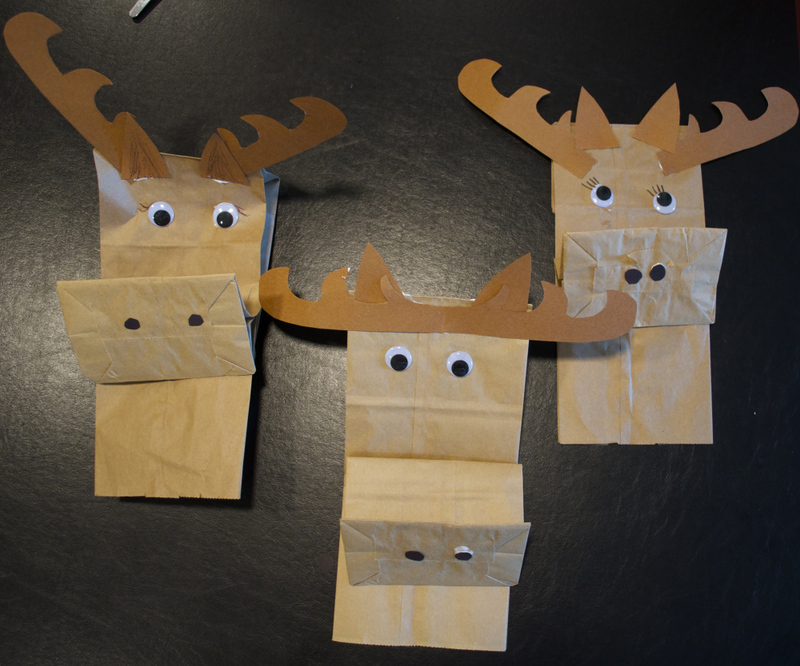 Convert your brown paper lunch bag into a moose puppet! The link will bring you to simple step directions courtesy of The Romantic Homeschooler. Still want more? 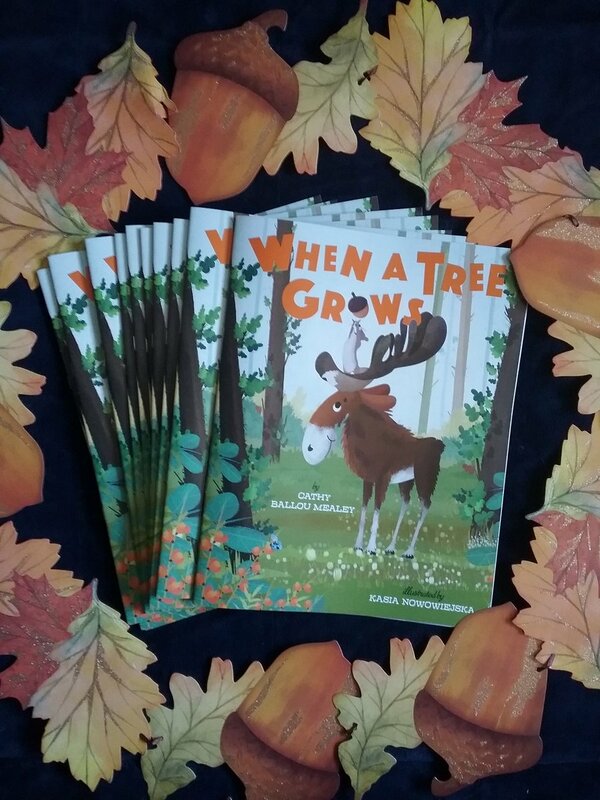 How about pre-ordering WHEN A TREE GROWS before it launches on April 2, 2019? Available via bookstores, online, through Indiebound, or even at Target now for only $12.11! Not ready to pre-order? Then ask your friendly librarian to order a copy for the public or school library near you. They’ll let you know when the book has arrived and can be checked out. This entry was posted in Uncategorized and tagged Kohl's, National Moose Day, Oliver Jeffers, paper bag puppet, picture books, Sterling Children's Books, This Moose Belongs To Me, When a Tree Grows. Bookmark the permalink. 24 Responses to Celebrate National Moose Day! Yay! Can’t wait to see your book! Congratulations! Gotta love moose!! Thank you Beth! Hip hip hooray for Moose! I adore that lunch bag activity! Jeffers’ book is one of my favorites and I’m sure yours will become one of my favorites, too! Well I’d be flattered. because you have EXCELLENT taste in books! Jeffers is one of a kind for sure. Three cheers for Moose and the forth for you, Cathy!!! Congratulations on this wonderful book. It looks super fun and action oriented. I am trying to thinking of kids I know 🙂 Yay yay yay!! TY Sue! I appreciate your enthusiasm and your social media shares. 🙂 I don’t know too many “littles” in person anymore either, but I hope they will find and love the book once it gets into libraries and schools. Your book looks really cute, Cathy. Congratulations! I can’t wait to read it. Thank you Rosi! Have a happy Moose day however you choose to celebrate! Don’t miss WHAT ABOUT MOOSE? as you celebrate! I look forward to seeing your moose book in April! Absolutely MUST have WHAT ABOUT MOOSE? as part of our celebration! Let’s coordinate in 2020 for a star-studded Moose-abration! Thanks for visiting Rebecca! Thank you Jennifer! Seeing a wild moose was on my bucket list for a long time, but the wait was worth it. Much like getting a picture book published! Perhaps that is why we identify with them so. I appreciate your blog visit! He he, you are right! I am certain that Kohl’s moose is one of the same herd wandering around in my Moose book’s forest. They’re both so friendly! Thanks for stopping by Tina! Can’t wait to read it, Cathy!!! HUGE Congrats!! Thank you Maria! Your support and encouragement have been immeasurable as I travel the path to publication. I’m paws-itive that Becca would like you to snuggle up and read TREE to her! Love your post! I love moose — went all the way to Alaska years ago and didn’t any moose. Am so happy that your book will be released in April. Congratulations! Look forward to reading it. What? I’d be SO sad if I went to AK and saw no moose. But I went to Australia and saw no platypus. We did find leeches though! Thank you for your support and enthusiasm for TREE! Oh…Lauri – Moose tracks ice cream! Brilliant! I think you’ve helped me plan part of my launch party. Would you prefer one scoop or two? I’m waggling my hand-antlers in joy. Happy National Moose Day to you! Three cheers for Moose! Two scoops of Moose tracks! And one very big and very special Book Birthday coming up tomorrow! Happy Book Birthday Eve, Cathy!! I can’t wait to meet Moose!